West Nile virus made its first appearance of the summer in San Diego County this week when a batch of mosquitoes trapped in Santee tested positive for the viral infection, county officials announced Wednesday. West Nile virus mainly affects birds, but it can be transmitted to humans by mosquitoes that feed off an infected animal and then bite people. Only about 20 percent of people who get infected with West Nile virus suffer any symptoms, though it can be deadly in rare cases. If people who become infected do suffer symptoms, they are typically mild, including headache, fever, nausea, fatigue, skin rash or swollen glands. 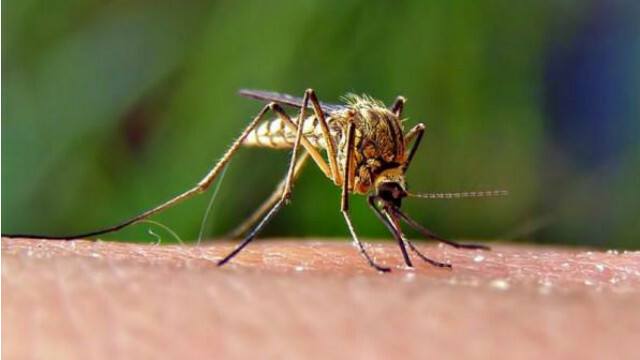 County officials recommends residents prevent mosquito breeding by removing or regularly cleaning items outside homes that can hold standing water, including plant saucers, rain gutters, buckets, garbage cans, toys, old tires and wheelbarrows. “One of the most important things people can do is to find and dump out any standing water they see inside and outside their homes so mosquitoes can’t breed,” said Elise Rothschild, director of the county Department of Environmental Health. Officials also recommend wearing long sleeves and pants as well as using repellent when outdoors. No people or birds have tested positive for West Nile virus in San Diego County this year. Last year, two county residents tested positive for the virus, according to county officials. Both recovered. However, across California in 2017, 600 people tested positive for the virus and 44 people died. In Los Angeles County, 268 people tested positive and 27 people died. County Vector Control officials said West Nile virus has been present in San Diego County since 2003.